Sujatha: Sri Lankan print of Sujatha offering alms. 51 x 75cms. Published in Columbo by R. Semage c.1950, but printed in England. Category: Miscellaneous. 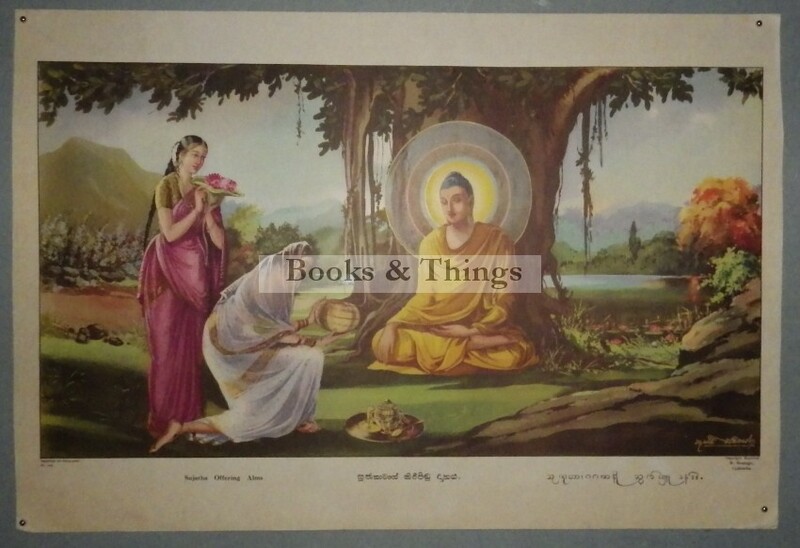 Tags: Ceylon print of Sujatha, Sri Lankan print of Sujatha.